Is your dog home alone during the day and in need of some exercise? Dog walking is available, dogs can either be walked locally or can be transported in a dog friendly van with individual cages for safety. 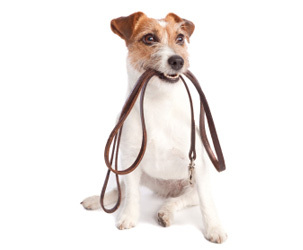 If your dog has specific needs then we can come to your home and tailor the walk to suit their requirements. They can have a gentle stroll or a more interactive walk if they enjoy to play. On our return we will dry (if necessary) your pet and provide clean drinking water. In addition to the walk we can arrange to spend extra time grooming and playing with your dog in your home if you require. Prices start from £8 based on a 30 minute visit for 1 dog. Prices for multiple dogs in the same house will be discussed based on individual circumstances. Dogs can be collected and taken for a walk with friends. They will often be out of the house for approximately 2 hours due to collections and are taken to a suitable park environment for walking and play. Numbers do not exceed 4 but can often be fewer. Character, temperament, size and individual requirements are all factors taken into account when matching dogs for walks together. At the end of the walk each dog will be towelled down if the weather requires. We will ensure that drinking water is available and will leave your pet to sleep peacefully whilst awaiting your return. 60 minutes £13 per dog, discounts will apply for multiple dogs. Please contact Pets Come First to discuss arrangements most suitable to you and your pet.